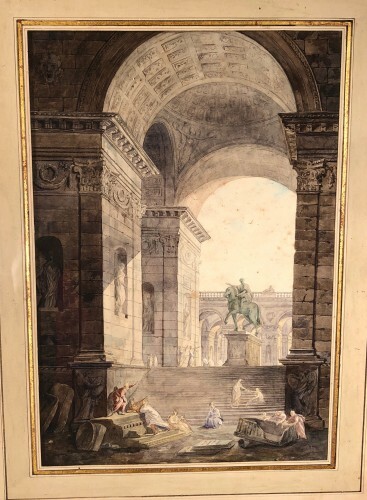 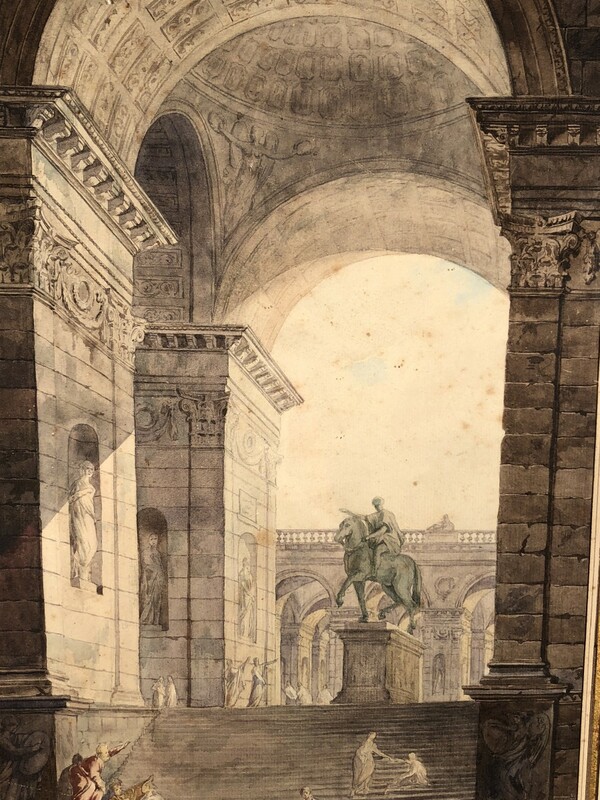 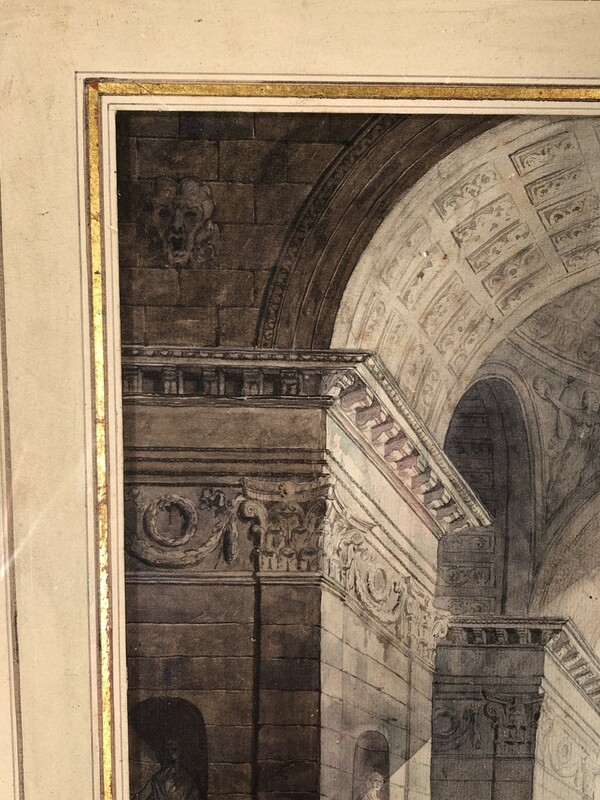 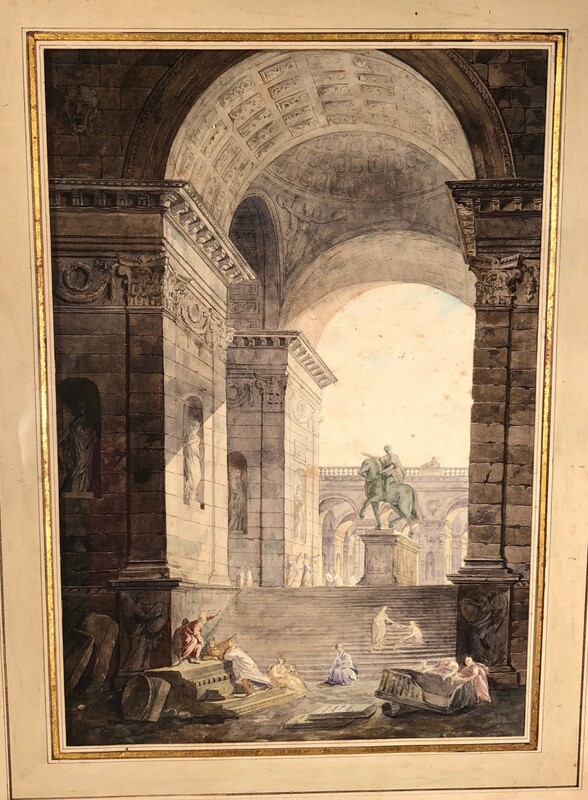 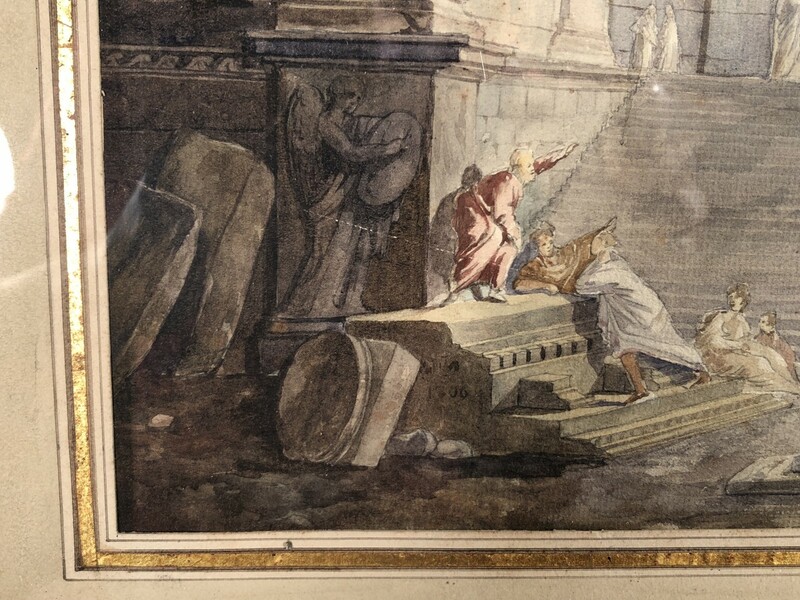 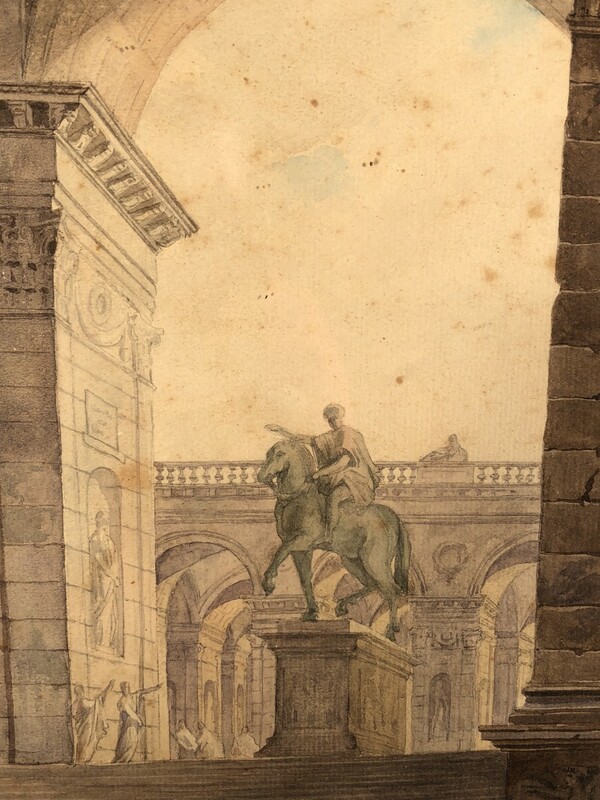 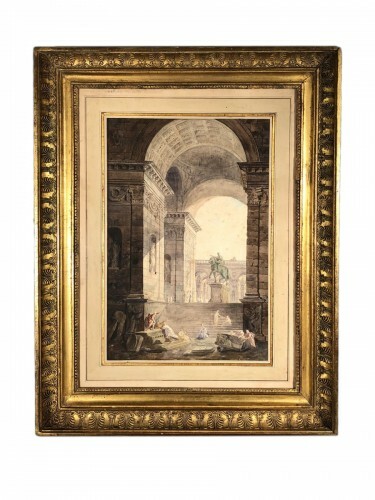 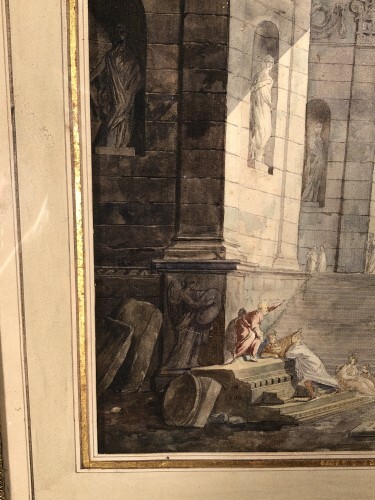 Watercolor on paper depicting a view of the equestrian statue of Marc Auréle on Capitol Square in Rome through the arches of a palace. 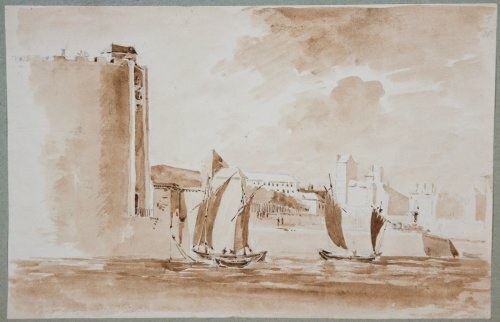 Dated 1806 and illegible monogram. 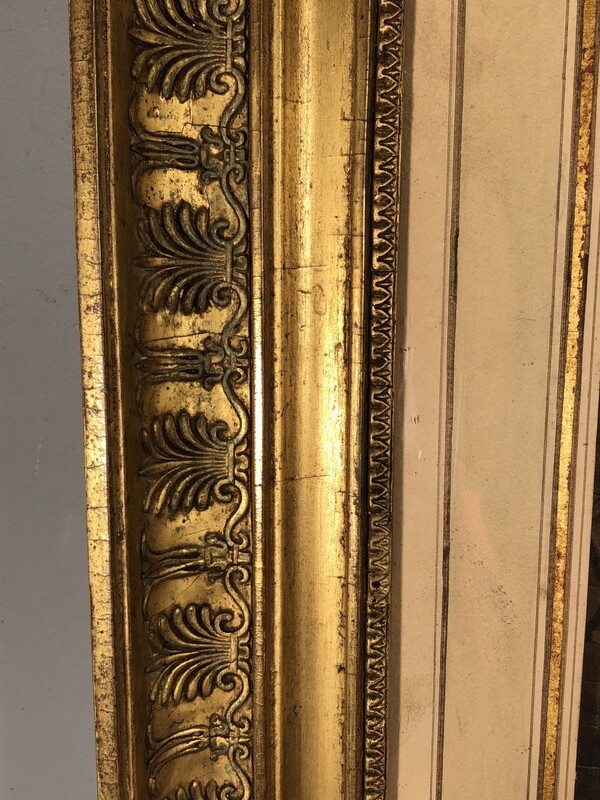 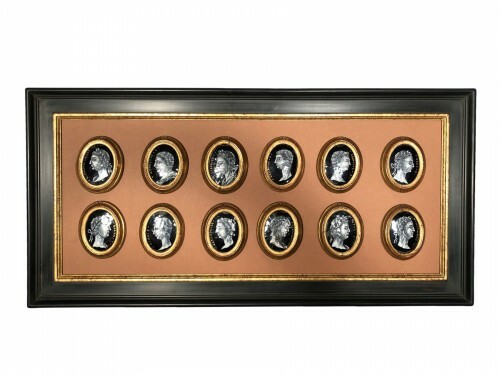 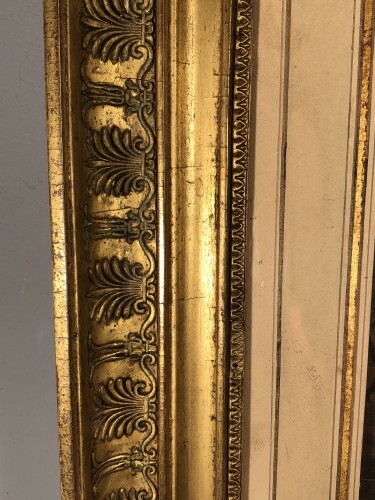 Original frame decorated with palm leaves. 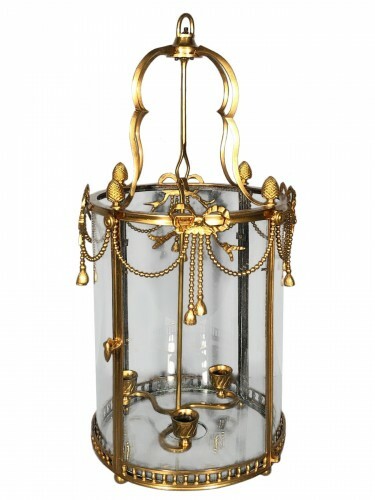 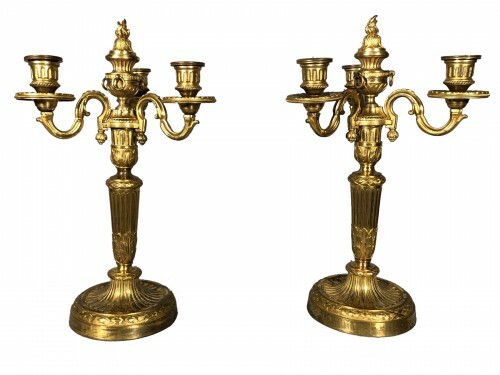 French work of Empire period. 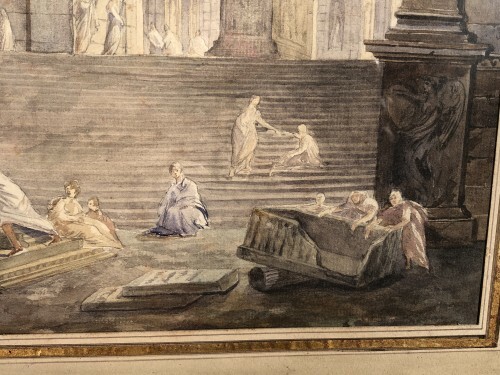 Good state of conservation; small scratch in the lower right.